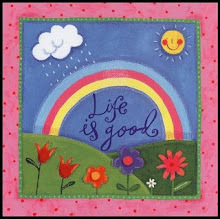 This week at ABO Wednesday, the letter is G.
For me, my new addiction fits so well with G - Gelli plate and gelli prints. 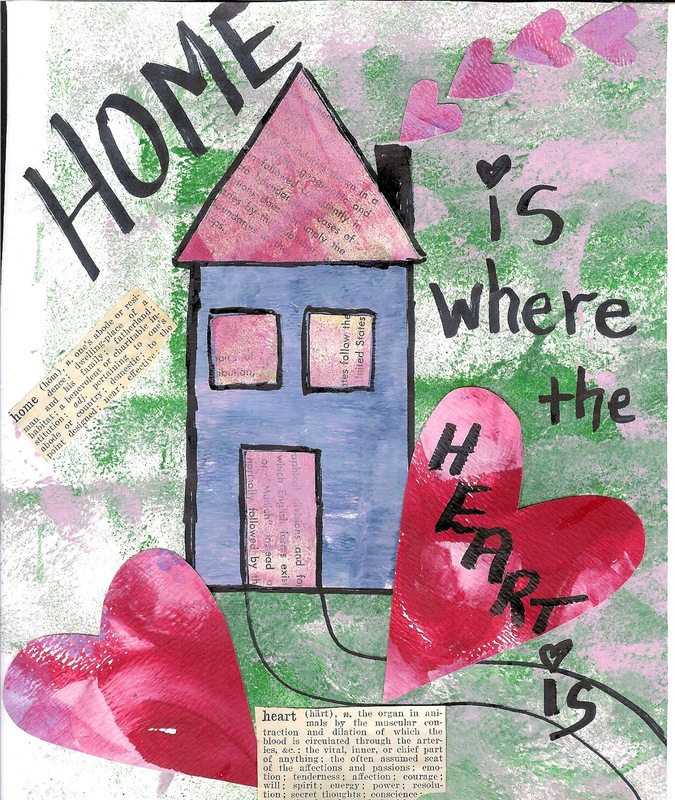 Here is a step-by-step look at creating some gelli prints. and then used the brayer to spread the paint. 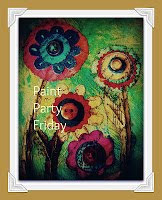 Once it is spread I use a stencil, bubble wrap or other tools to make an impression on the painted plate. Here are some of the things I have used to make impressions. Then a paper is pressed down onto the plate and pulled up. A second ghost print can be done as well. This print can be used several times to get a very layered effect.. The prints are always dfferent and you never know what will appear. Here are a few other papers I did tonight. 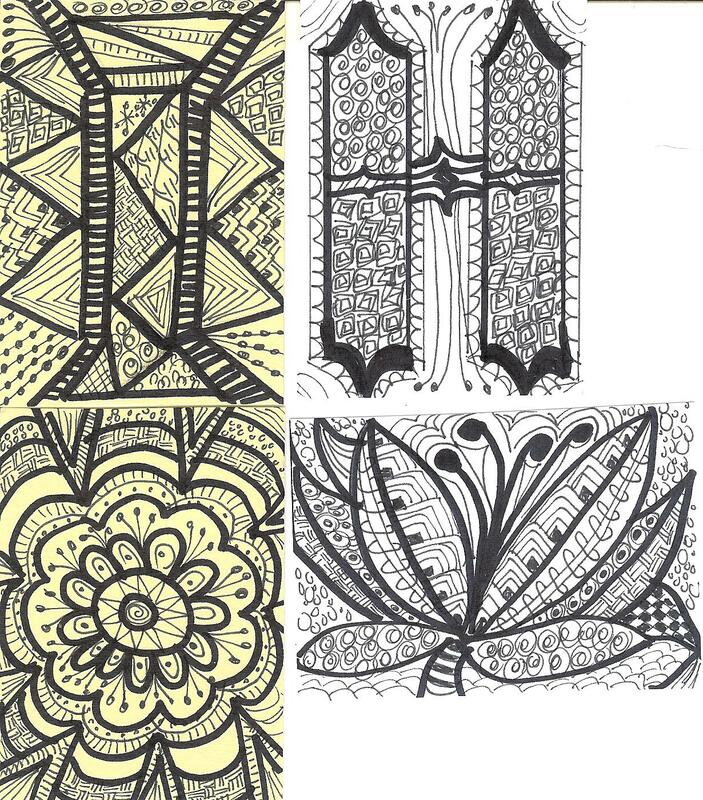 There is so much that can be doine with the finished papers - from journal pages to ATCs to other artworks. 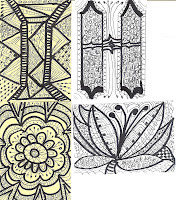 Here are some ATC backgrounds I made from some papers created last week. 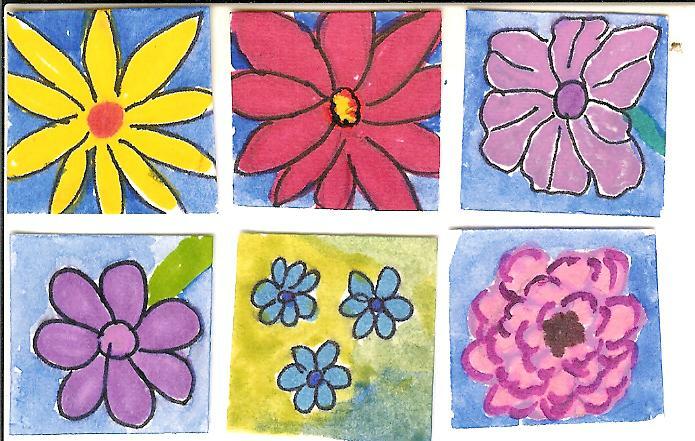 These will be used for an ATC background swap. 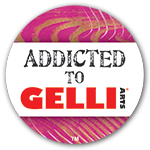 To learn more about the gelli plate and printmaking - check here at Carolyn Dube's blog for lots of links and this tutorial. 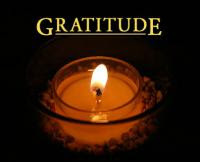 Be sure to check here for more "G" posts - from around the world! 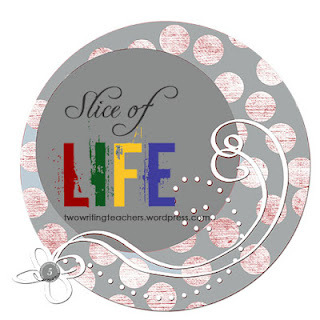 The Tuesday Slice of Life is hosted by Stacey and Ruth (Two Writing Teachers) every Tuesday. 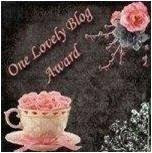 I have taken part a few times and am always amazed at the stories and words that are posted from all over the world. 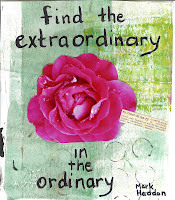 This Friday, March 1, begins the March Challenge - where a slice of life is to be written every day. I am hoping to be able to complete this challenge. November saw the PBIM - and I was successful in producing over 30 picture book ideas - 2 of which I have taken and written scripts for. 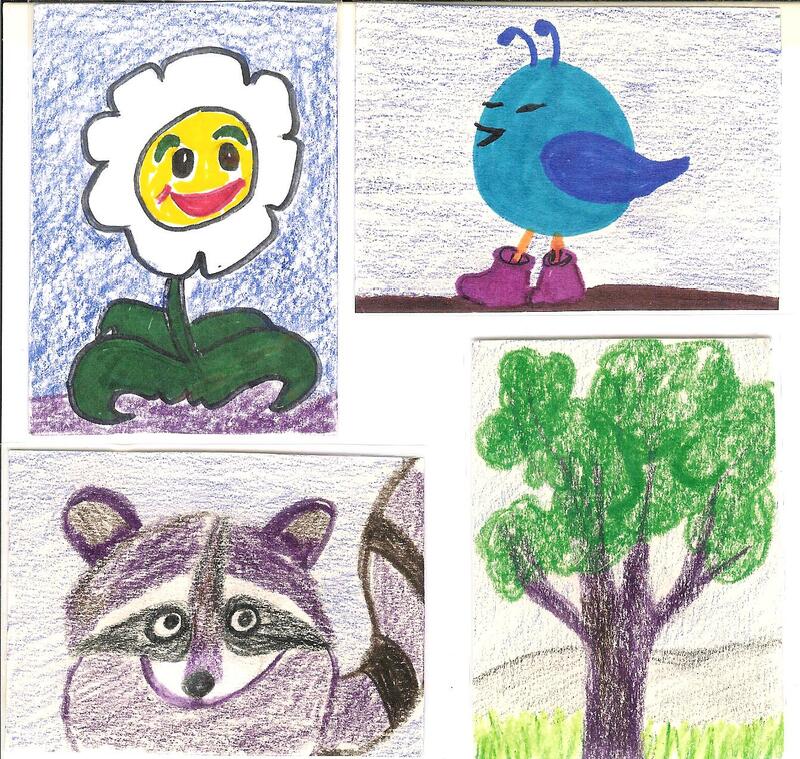 Do we choose a theme, focus on a daily event or like the morning papers (a la Julie Cameron) write about what we are thinking and feeling at that moment? Not only the writing though - the visiting and reading others' slices is part of the process. It will be a commitment for sure. The SOL community is a very supportive one . 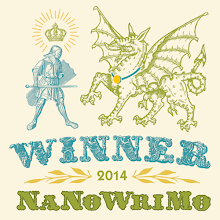 So, yes I will try and take part in this new writing challenge. 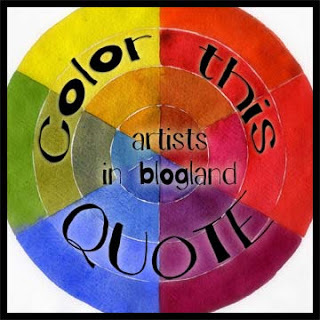 The new "Color this Quote" challenge at Artists' in Blogland has begun for March. 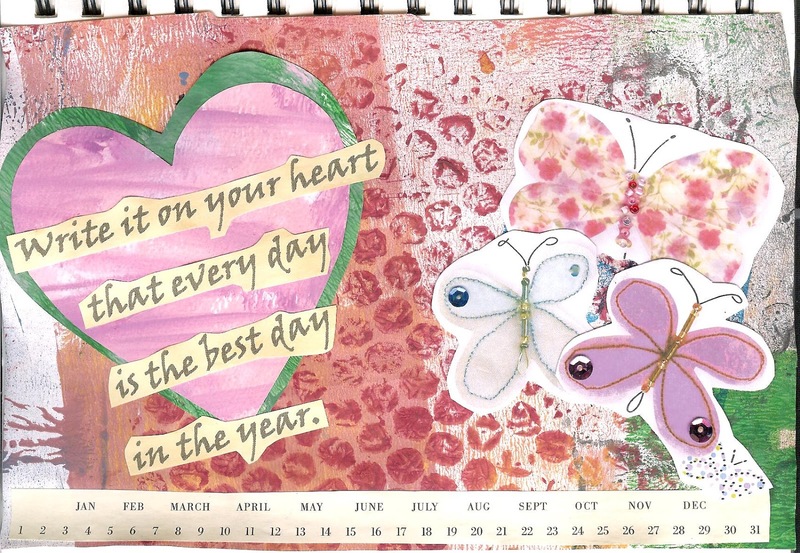 that every day is the best day in the year." So - I couldn't wait to work with it and create a journal page. Here is my take on this special quote. 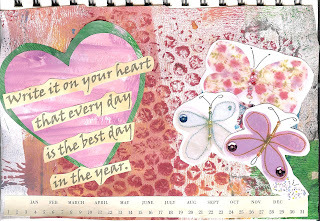 The background was a gelli print, the heart was painted and the butterflies ones I bought. Be sure to try this fun challenge here. I have been so enjoying the many challenges that can be found online. They have really inspired me to create. I look forward to each one and am creating almost daily. 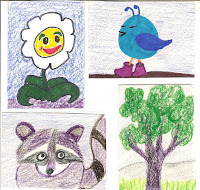 I also completed some other ATCs but did not scan them. 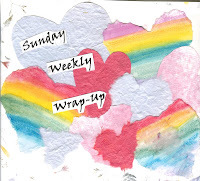 Linking to the blog hops at Create With Joy, Creative Every Day, and Make It Monday. Looking forward to more challenges this week! Hope everyone has a wonderful week ahead! Another cloudy morning, with more flurries possibly today. I am ready for spring and March Break! - so thought I would dip back in the past, to a trip to Mexico for some lovely shadows and sun! The new alpha challenge at The Craft Barn is H, for week 4. 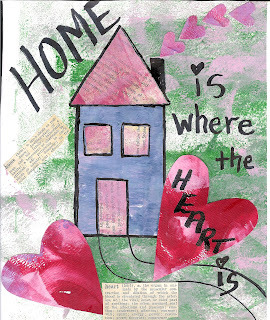 Here is my entry - H is for house, home, heart.. 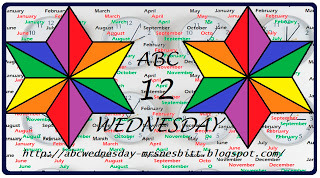 This week F is the focus at ABC Wednesday. Immediately my choice was Frida Kahlo. "Frida Kahlo de Rivera (born Magdalena Carmen Frieda Kahlo y Calderón; July 6, 1907 – July 13, 1954) was a Mexican painter, born in Coyoacán, who is best known for her self-portraits." Here is more information about her from an official site. Be sure to check out how others around the world tackle "F" this week here.. 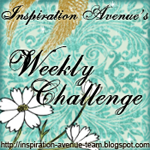 This week's challenges at Collage Obsession and Inspiration Avenue were so enjoyable to work on. With this being a holiday in Ontario, I had extra time to create - and create I did. This week's theme is "Which Road?" - based on that wonderful poem "The Road Not Taken" by Robert Frost. 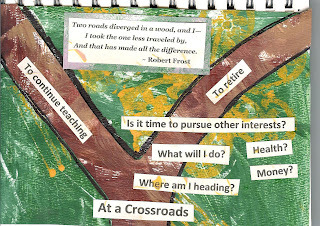 As I am at a crossroads myself right now, this theme allowed me to see the choice I have to make visually: To retire or to keep working another year or two. It is a difficult choice , as money plays into the decision, as does my husband's health. I included some questions, based on a post by Collage Diva about crosses for Lent. 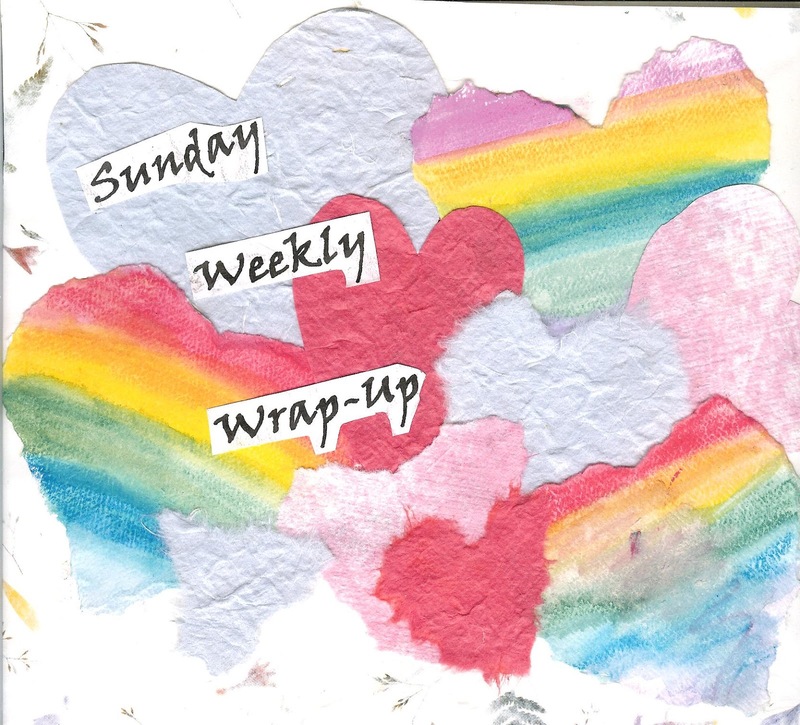 Sunday Weekly Wrap-Up and New Challenge! Yesterday, while visiting different blogs I discovered a new year-long challenge, through The Craft Barn. 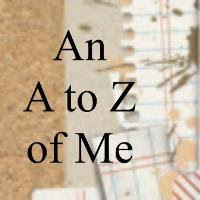 The Alpha/dictionary challenge choose a new letter (not in order) every two weeks. Any creation is accepted as long as there is a dictionary definition of the word you are focusing on is included. 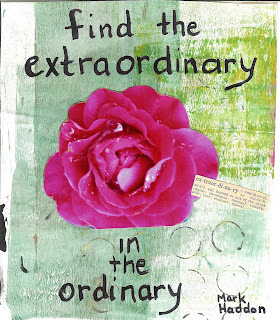 There have been 3 letters chosen so far - C, V and E.
As soon as I saw the E I knew the perfect word - extraordinary. I created my piece last night., although I was too late for the entry. Today H is the new letter and this morning I have completed my entry. I am having trouble with my printer so I can't print out my quotes as I usually do. Hope everyone has a wonderfully creative week! In Ontario we have Family Day tomorrow which means a day off from work - time for more creating! Snow gently falling, a cloudy morning - the search for shadows was a challenge. I found reflections in windows and a few dark places. Chasing shadows is a fu, addictive past-time, one I have not had as much time for in a while. Seeking shadows on a Saturday morning is a cherished routine though. Be sure to check out the wonderful shadows here. One of my yearlong projects is to complete a canvas each month. 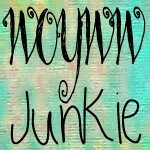 In January, the 8x10 canvas was on Joy - my word of the year. This month, with snow and cold, I wanted a bit of colour and spring. I have been enjoying Dana Barbieri's beautiful daily floral creations and I was inspired by her work to create my own floral painting. For a first try, it is more expressive than realistic. I had fun with the process. I also created some ATCs tonight. It has been a busy week - see here and here to see some of my other work. 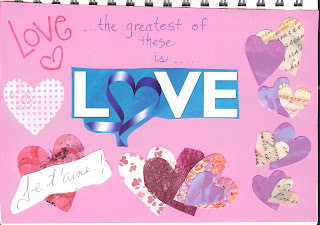 This week's theme at |Collage Obsession is "LOVE" - a very appropriate theme for Valentine week. and at "Inspiration Avenue" - any February holiday. 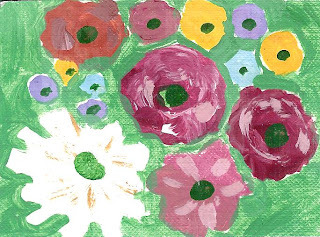 This week at ABC Wednesday the letter fo the week is E.
"Expressionism was a modernist movement, initially in poetry and painting, originating in Germany at the beginning of the 20th century. Its typical trait is to present the world solely from a subjective perspective, distorting it radically for emotional effect in order to evoke moods or ideas. Expressionist artists sought to express meaning or emotional experience rather than physical reality." The Scream by Edvard Munch inspired many Expressionists. Here is an interesting article on expressionism. 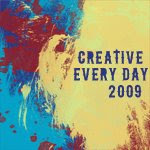 Here's an ATC I created in this style"
Be sure to visit here for great takes on E.
Bernice of "Newly Creative" has started a fun project for February - An A to Z of Me"
Each day she provides a new letter with theme, videos, quotes and an art technique to try. So much is provided for each day. I just discovered this project late this week so I am already behind. But I am starting with G - for goals. This ties in with my dreamboards. I have started my album and will work away at it as I am able. I have always wanted to ty a project like this. List it Tuesday on Saturday!